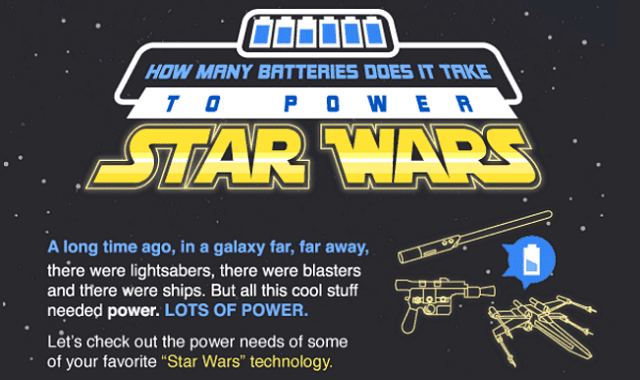 How Many Batteries Does It Take To Power Star Wars #Infographic ~ Visualistan '+g+"
A long time ago, in a galaxy far, far away, there were lightsabers, there were blasters and there were ships. But all this cool stuff needed power. Lots of power. Let's check out the power needs of some of your favorite "Star Wars" technology.